This is the first meeting between these two teams and both sides will be keen to grab their third win in the Top 16. The hosts hold a 7-6 record in the Euroleague this season while their German counterparts can boast of an 8-5 record for their European exploits so far this campaign. 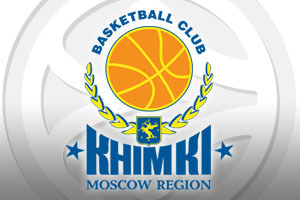 The success of Khimki has surprised a few but it has pleased many more. The success of the team owes a great deal to the hard work and effort provided by Tyrese Rice and Petteri Koponen although the talent of Alexey Shved is another big factor. In the Top 16, Shved is the third franked top scorer so far, with an average of 17.1 points per game this campaign, but this will be a tough challenge for him, and the team. 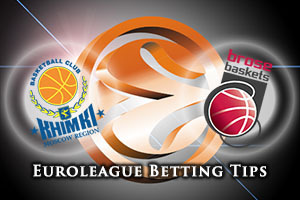 Khimki can boast of leading the Top 16 with respect to steals and they are ranked in joint fourth with respect to blocks. These are aspects the team will need to excel at on Friday night if they want to win the game. The success of Brose Baskets is no fluke and the team is performing well with respect to many of the key statistical areas of the game. The German side are ranked first with respect to three-point shooting, with 47.3% and they ranked fifth in two-point range efforts, 54.9% and with respect to assists, which stands at 19.3 assists per game. The form of Bradley Wanamaker, Janis Strelnieks and Nikos Zisis has played a massive role in the performance and results of the German team so far this season. Nicolo Melli is another player that has boosted the away team this season and if he can deliver a strong performance, there is every chance that they will have success in this game. The hosts should have enough about them to take control of this game and you should back Khimki Moscow Region at -6.0 and with odds of 1.90. For the Over/Under market, look to go UNDER 160.5 at odds of 1.90. Bet Now!